Olenya Bay on the coast of the Barents Sea is home to a fleet of nuclear powered spy submarines and surface vessels which NATO now says are dramatically stepping up activities around undersea data cables in the North Atlantic. Ever heard about Russia’s Main Directorate for Deep Sea Research? Well, better now than later. The Directorate, nicknamed GUGI, is a branch directly under General Staff of the Armed Forces. From its base 100 kilometers east of the border to Norway, a fleet of nine nuclear-powered submarines and a few surface vessels frequently sails out on special missions. Little is known about the nature of those voyages, except reports of significantly increased activity along subsea cables which carry global electronic communication. 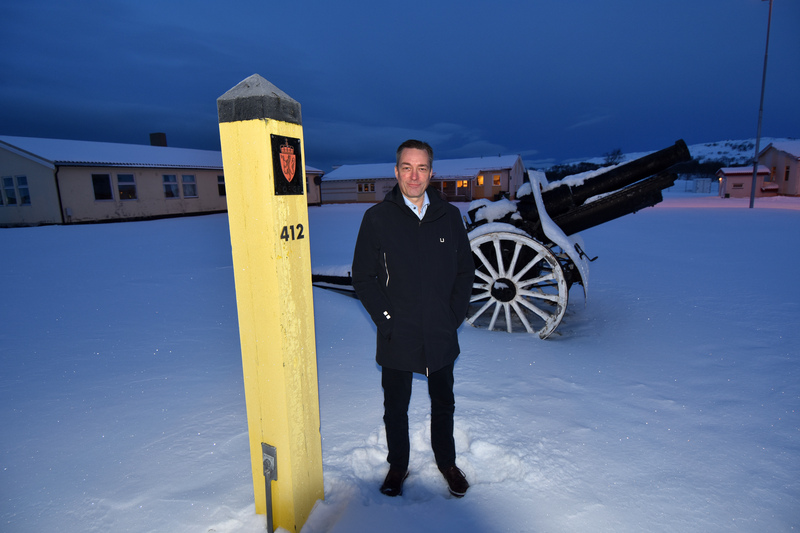 In this article, the Barents Observer takes a closer look at the base in Olenya Bay and activities carried on. Through satellite images and other non-classified sources. Russia is currently expanding its fleet of special purpose vessels aimed at seabed operations. Surprisingly little information is published about the vessels and their homeport north of Murmansk. A recent report, though, written by Member of the British Parliament Rishi Sunak, quotes several NATO officials openly claiming the vessels are «aggressively operating» near cables vital for global data communication. Lennon declined to say whether NATO believes Russian axillary submarines have actually touched the cables. Russia’s Embassy in Oslo has not responded to questions from the Barents Observer about the accusations. One of the intelligence vessels in question is «Yantar» - which can be seen moored at the pier in the upper right corner of the satellite image in top of this article. She carries two small submarines thought to be capable of cutting cables or tapping them for information, the British report says. Officially, the ship is used for deep-sea research and rescue operations. Since 2015, the vessel has been sailing from the Kola Peninsula on voyages outside the coast of Norway, across the Atlantic, sailing the east coast of North-America from Canada in the north to Cuba in the south. Currently, «Yantar» is outside the coast of South America assisting in the search for the Argentinian navy’s submarine that went missing in November. A sister vessel, «Almaz», also to act as a mothership to mini-submarines, is currently under construction at a yard in Kaliningrad. Comprising more than 800,000 kilometers of fibre-optics, the world’s 213 independent subsea cables are the arteries to modern society as we know it. Rishi Sunak explains the reason to be worried in his report: «In a single day, these cables carry some $10 trillion of financial transfers and process some 15 million financial transactions.» 97% of global communication are transmitted via cables lying deep beneath the oceans. There are no way satellites can compensate in case cables are cut. A critical scenario is cables cut or disrupted with immediately catastrophically affect both to economy and society. Sunak points to Crimea, where internet and telecommunication was unexpectedly cut off from the rest of Ukraine in March 2014. Parliament Member Rishi Sunak especially mentions Scandinavia when elaborating on Russia’s aggressive operations near undersea cables. Several links are from the Baltic to Sweden and Finland, while Denmark is linked with Sweden, the U.K., Iceland, Germany and Norway. 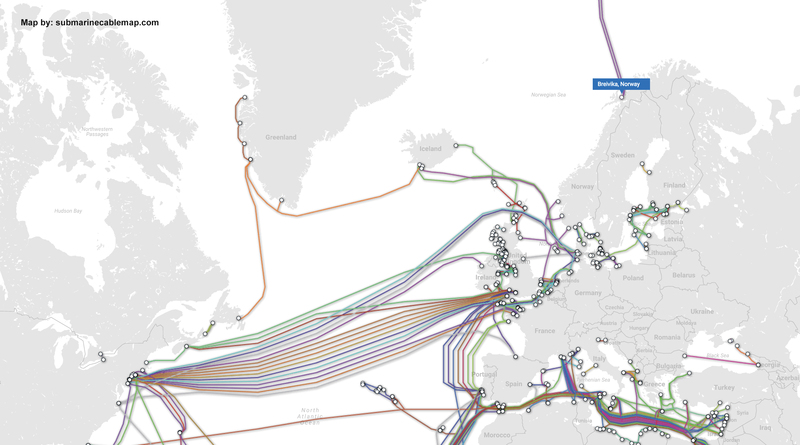 Norway have two Arctic cables to Svalbard, plus several interregional tele- and optical fiber links along the coast, like in Finnmark, the region bordering Russia in the north. Asked by the Barents Observer about possible Russian activities near tele- or data communication cables, Norway’s Minister of Defense, Frank Bakke-Jensen says both Norway and allies keep a close eye on what happens. In general terms the Minister says: «Russia’s military capability has been significantly strengthened in recent years, also in our neighborhood. They develop new capacities and have more training and exercises. However, the High North still remain a region largely characterized by stability and cooperation. Increased military activity shows that we and our allies should closely follow Russian activity and the development in our neighboring areas,» Bakke-Jensen says. He will not elaborate further. Meanwhile, the officers living in Olenya Bay prepare for new submarines to be attached to the secret missions carried out. 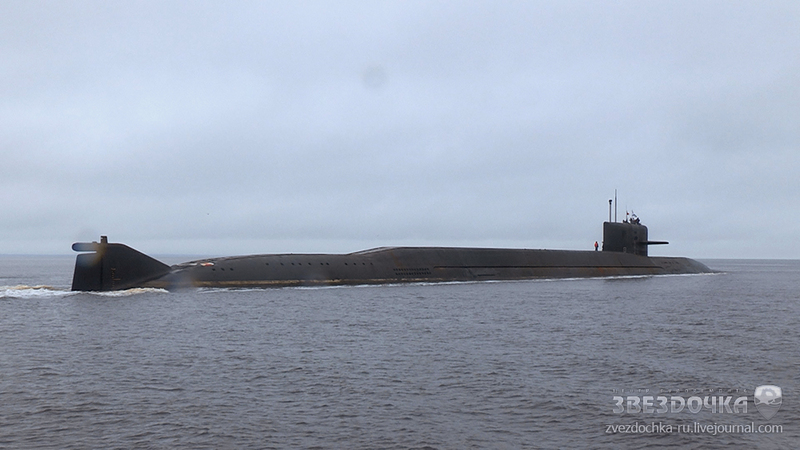 Consisting of nine nuclear powered submarines today, the 29th Special Submarine Squadron have means and technology to dive deeper than any of the other weapon carrying war-submarines sailing for the Northern Fleet. The satellite image in the top shows how entrance to the base town, storehouses and piers is strictly regulated. All surrounded by barbed wire fences. Two road checkpoints will effectively hinder unwanted persons access to the harbour area where the submarines are moored. The first one is on the main road from Murmansk, before the exit to Polyarny, while the second one is seen at the base in Olenya Bay. To load and unload equipment used on seafloor missions, and to avoid being spotted from satellites, two floating docks serve the submarines at the base. A Russian mapping service based on satellite images, Wikimapia, details the town in Olenya Bay with barracks, 5-floors apartment houses, a naval hospital, school, food shop, canteen and café and the boiler house for the central heating. In the port, the different vessels, a floating power station, the two docks, garages, technical workshops and piers are marked. Russia’s Yandex map satellite service even reveals two of the actual special purpose submarines at pier. One of them is the 74 meters long Losharik, the other is likely an older 53 meters long Paltus class (X-ray by NATO). Both are nuclear powered. More rare photos of the Uniform-class mini-submarines, and how they are believed to operate on the seafloor, are posted at the blog-site Military Russia. The photos are both from the base in Olenya Bay and from the naval yard in Severodvinsk outside Arkhangelsk. With the ships in Olenya Bay, Russia has the world’s largest deep-sea fleet. Among the capabilities are two titanium hull Kashalot (Uniform-class) submarines named AS-13 and AS-15. A third vessel of the class, AS-33, is reportedly written off. There are three of the Paltus (X-ray class by NATO), the AS-23, AS-21 and AS-35. Then, it’s the Losharik, AS-12, the latest spy-submarine added to the fleet in the late 90s. At the yard in Severodvinsk, yet another nuclear powered mini-submarine is currently under construction. Additionally, two larger former ballistic missile submarines are rebuilt for the 29th Special Submarine Squadron. «Orenburg» (BS-136) is a former Delta-III class, while the «Podmoskovye» (BS-64) is a rebuilt Delta-IV class submarine. In late 2016, the Barents Observer posted a video of the «Podmoskovye» sailing out to the White Sea from the yard in Severodvinsk after 16 years of refit. Among other things, the missile compartment was cut out and space for scientific-experimental equipment were placed instead. Most visible from outside is the flat deck behind the tower where mini-submarines can be attached. It is also believed that «Podmoskvye» can carry the Losharik mini-submarine below the hull. The submarine can also bring - or remove - other small installations and devices for military purposes to be placed on the sea floor. In the Arctic, or at other locations important for the Russian navy. Such devices can be noice-makers to distract foreign submarines when Russian submarines sail out from the Kola Peninsula to the North Atlantic. Other listening devices can detect sounds made by the propellers of enemy ships. The submarine can launch and recover unmanned subsea vehicles. Lifting sensitive equipment from crashed aircrafts, other vessels or even satellites from the seabed are other tasks to be carried out by the submarine. A leading expert on Russian submarines, H I Sutton, runs the portal Covert Shores and has published several books about world submarines, including a recent book on underwater special forces. The book highlights the recent developments in the Russian subsea navy. To the Barents Observer, he explains the change-of-mission for the spy-submarines in recent years. Russia has invested heavily in this secretive fleet, even in times of economic hardship. «To target the cables covertly, in deep water where they would be harder to repair, specialist submarines are required. Russia is unique in having a large fleet of these, which are based at Olenya Bay on the Kola Peninsula.» H I Sutton believes the Russian special purpose submarines could break cables at depths of between about 50 meters and 1,000 meters. Russia’s powerful fleet for underwater special operations in the north will get another boost later this year, or in 2019. Then, the «Belgorod» will be launched from the yard in Severodvinsk. The submarine, powered by two nuclear reactors, will be the world’s largest. Even long than the Cold War Typhoon submarines. The hull of «Belgorod» is based on an incomplete Oscar-II class, originally laid down at the Sevmash yard in 1992, as previously reported by the Barents Observer. Like the «Podmoskovye», also this new vessel will be dedicated to carry out secret missions in Arctic waters. Russia’s new sensor system was first mentioned in another article in Izvestia in 2016.